In the beginning, the great Tigris River flowed out from the Garden of Eden, watering the lush environment God had provided for His first people. That river flows through Baghdad, Iraq. But unlike in ancient times, the storied river today is fouled by untreated sewage. 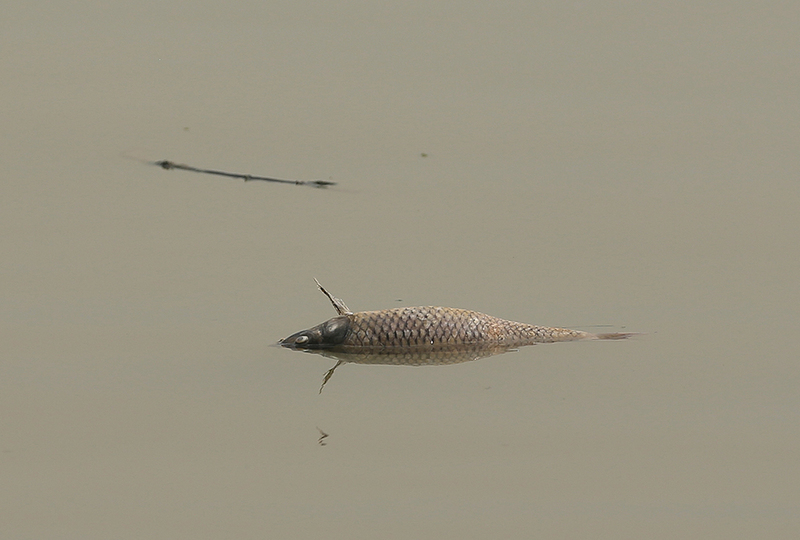 Dead carp float by in the fast-moving current. 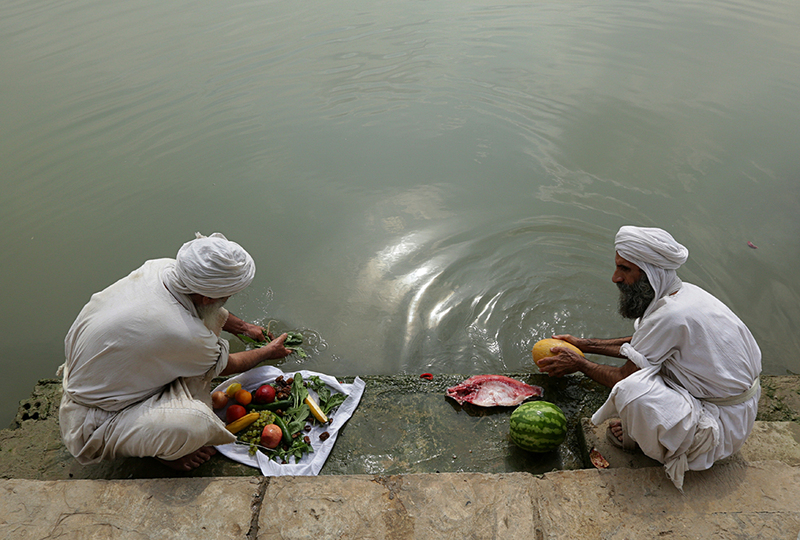 One religious group in Iraq finds their ancient faith threatened by the pollution. 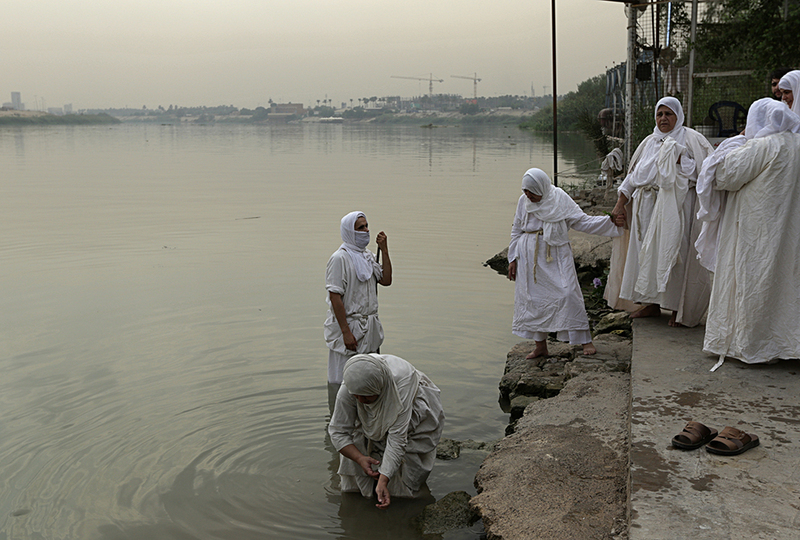 Every Sunday in Iraq, members of a cult calling themselves Mandaeans bathe in the waters of the Tigris. They believe repeated baptism is necessary to purify their souls. The Mandaeans claim to be followers of the teachings of the biblical John the Baptist. But sadly, they missed the focus of the Baptist’s ministry. The Gospel according to John (the disciple) says that John the Baptist was sent by God to testify that Jesus, the Light of the world, was coming. John 1:7-8 clearly says that John the Baptist was not the Messiah, but that he was sent to “bear witness about the light” so that “all might believe” in Jesus. But the Mandaeans reject Jesus. They consider Him to be a false messiah. They even call Him a “lying messiah.” Likewise, they believe every mention of the Holy Spirit in the Bible is a reference to an evil spirit. The Mandaeans are among some of the people the Bible says are “living in darkness.” In that darkness, they are hopeless to ever rest from their rituals of continually washing and washing themselves of their own sin. In their view, Messiah has not come, and so they are not forgiven. Their hope for salvation depends upon their own ongoing performance—and on access to clean water. Now the source of that purification for them is so polluted they cannot look to the river for aid any longer. “It’s very saddening. Our religious books warn us not to defile the water,” says Sheikh Satar Jabar. He heads the shrinking Mandaean community in Iraq. On the eastern bank of the Tigris, Jabar watches a younger cleric bless congregants who stand, but don’t immerse themselves, in the river. He then anoints them with oil. Finally, he gives them a sacrament of bread and water on dry land. Jabar says it isn’t enough. “When a Mandaean believer commits a sin or wants to ease the worries of life, he comes to the cleric to practice his religious rituals, where he must immerse himself three times in running water,” says Jabar. But the water must be pure—fit even for human consumption. Baghdad’s river today is a stew of industrial chemicals, untreated sewage, and poisonous agricultural runoff, the Save the Tigris civil society campaign said in a 2018 report. The defiled water is offensive to the cult’s members—but perhaps not so offensive as their rejection of the Christ and the Holy Spirit’s offer of eternal cleansing is to God. That's so sad. It's awful when someone misunderstands the Bible, or adds way too much to a rule in the Bible, or something. I will be praying for these people! That is some dirty water; I hope they don't get sick! Ewww that's gross! Someone should show them the real way to get rid of sin and worry-It's a whole lot cleaner! And it will actually work! I think that is gross, but they might think that some stuff we do is gross to. If I was that child....I'd be crying too. that is pretty sad both that they can't go in the water and that they do not believe in JC. i hope someone reaches them with the gospel and they are accepting of them. It's pretty gross, but if someone goes over there and tells them the truth, they might be more willing to believe considering the pollution in the waters. God works in many ways. maybe this is one of them. I also wonder if the Garden of Eden is in Iraq. I mean, it went through it, right? Its really sad that they are still bathing constantly in a polluted river and that they dan't believe in JC! I don't know how smart they are for not knowing much about john the Baptist and making a whole religion about him. He did say that Jesus was the one you were supposed to follow. IS THAT CHILD CRTING? OH YUCK! !